What words were invented the year you were born? As far as humans are concerned, the world didn't exist until, well, they existed. That means anything that happened before you were born is mere fairy tales and make believe conversation. But what about those words that filled those tales and conversations? When did they start existing? When were those words born? Well, the Oxford English Dictionaries is here to tell you what words were born the year you were born. That doesn't mean those were the only words invented, the OED shows that smartphone and text messaging and app were invented in the 1980's but doesn't attribute a single year to them. Still, it's fun to see when the words we use today were born. 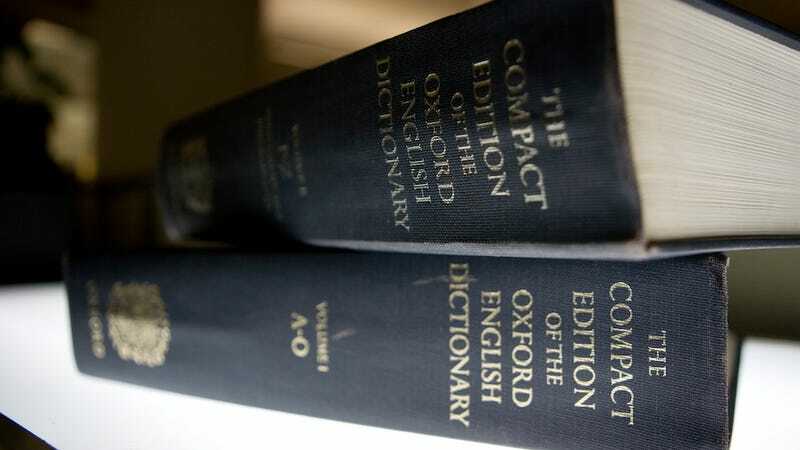 You can use the OED's tool here to find out what word matches your birth year. Let us know below.